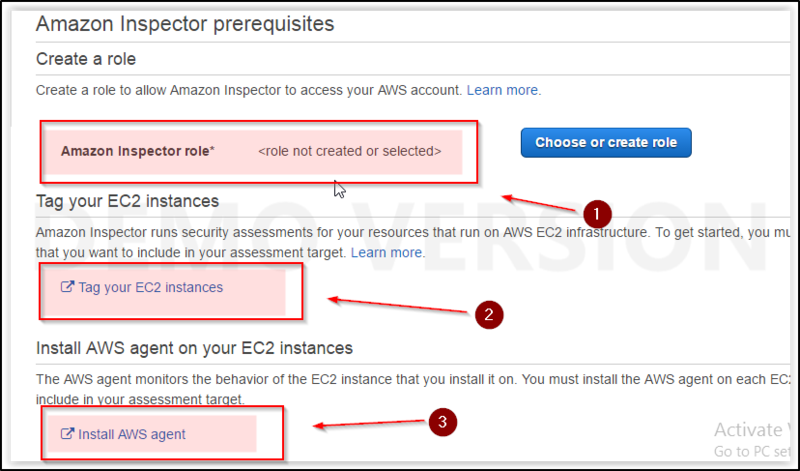 AWS inspector is tool that is agent based and runs on the EC2 instances and requires a role that will have access to the instances in you r environment. AWS inspector checks the application against vulnerabilities and best practices. Once it has been enabled on an instance you can run your regular activities on your application in which that time AWS inspector will collect data. you can then stop collector and AWS will messaure against vulnerabilities and best security practices.